I’m almost sure I’ve taken photos of these statues before. But I had never really given them much thought. 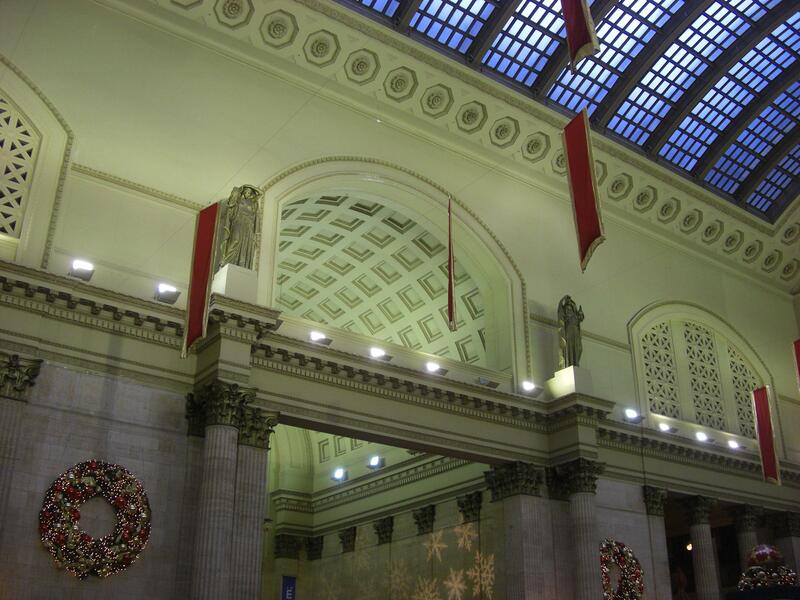 While I was taking pictures of Chicago Union Station’s Main Hall with my luggage at my side – an Amtrak employee walks up and starts talking to me. Honestly I really wasn’t in the mood to be social. 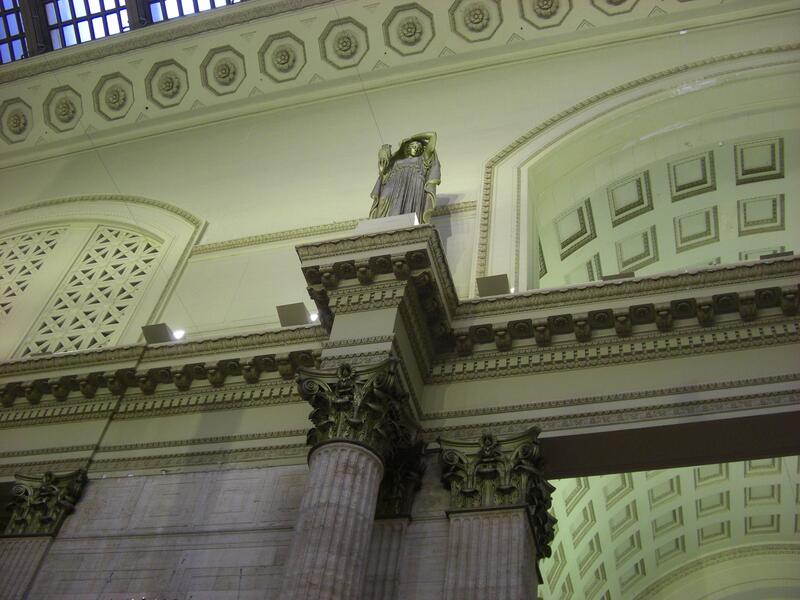 The Amtrak employee said – it’s a beautiful building isn’t it. I resisted the urge to mention all the decay in this old structure. He then went onto explain the meaning of the birds the statues are holding. The owl signifies night while the rooster represents day – showing that the station is open 24 hours. I told him I’d never really given the birds meaning much of a thought and thanked him. 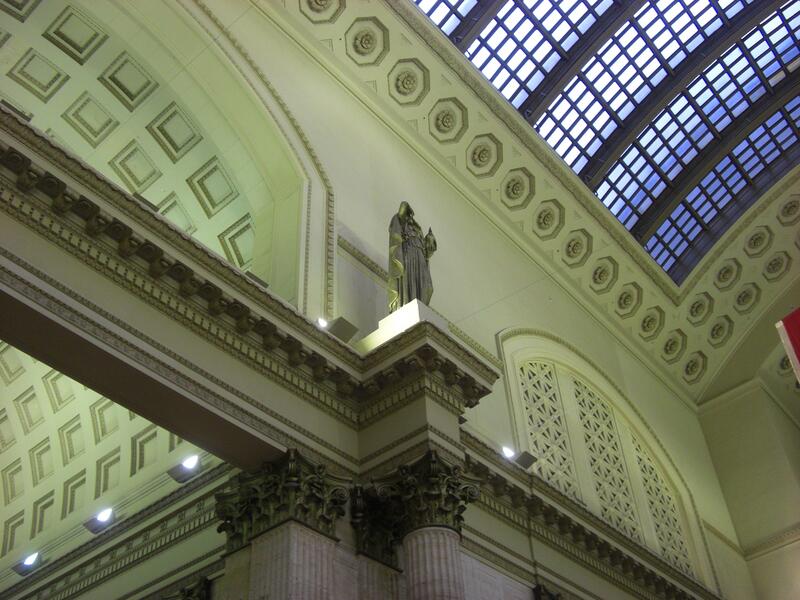 Later on inside the entrance to the Amtrak passenger terminal I saw this same man helping a customer with a problem. Unfortunately I didn’t take the time to get his name. Amtrak customer service can be so hit & miss. This employee is an example of someone who obviously is still passionate about their job and taking care of riders.